Bonjour! It is moi again - French graffiti writer Monsieur Andre! You might remembois last time I bleugged on Acid Midget that I was deezining shirts for le French music and fashion label Kitsune. 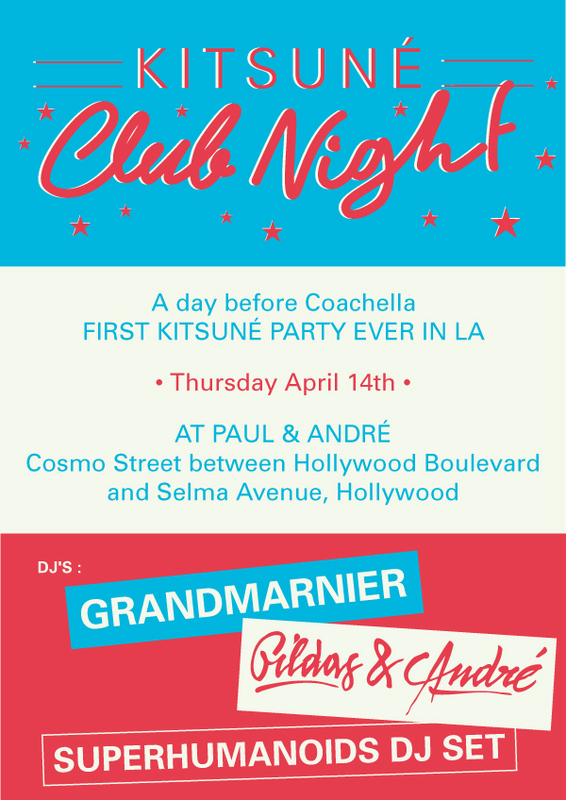 Well now moi is feuking DJing at a secret partee in LA tonight! 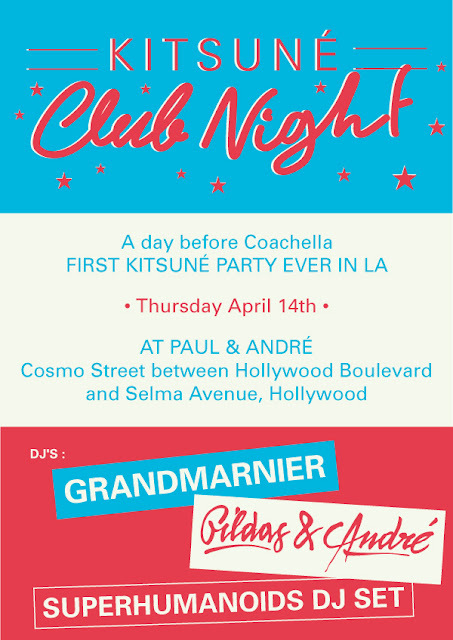 That's right - Grandmarnier, moi and Gildas are feuking DJing at a secret partee! Le secret passweurd you 'ave to give at le door is 'RENARD'. Then you meust take off your sheurt!